Iranian Foreign Minister Mohammad Javad Zarif says there are still a number of issues that need to be resolved, calling on the six major powers involved in talks with the Islamic Republic over its nuclear energy program to show more flexibility. “There are a number of issues that are left to be resolved. They require, as I have said, the recognition by all parties that they need to exhibit political will and flexibility in order to move forward. Iran has exhibited that political will. Iran has shown its readiness to engage with dignity,” Zarif told reporters in the Swiss city of Lausanne on Wednesday evening. He said progress had been made between Iran and major powers over Tehran’s nuclear program, but both sides could have moved forward further. 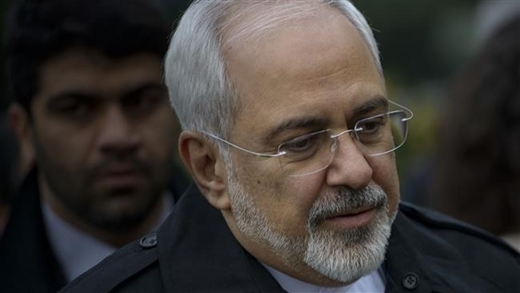 “I’m not dissatisfied, but we could have made more progress obviously everybody wanted to have resolved this issue by last night, but we still need to do some more work,” Zarif stated. Meanwhile, as the negotiations have headed into another night of marathon talks, Zarif and US Secretary of State John Kerry have kicked off another round of bilateral negotiations to narrow their differences, and France’s Foreign Ministry has announced that French Foreign Minister Laurent Fabius is returning to Switzerland Wednesday night for further talks. Iranian Deputy Foreign Ministers Abbas Araqchi and Majid Takht-e Ravanchi as well as US Under Secretary of State for Political Affairs Wendy Sherman are also present in the meeting. Earlier on Wednesday, Araqchi said any deal with the P5+1 group on Tehran’s nuclear program should certainly guarantee the removal of all sanctions. “It is not possible to have a deal without lifting sanctions, all sanctions must be removed,” he said. The Iranian official pointed to the difficulty of the task to see all sanctions removed all at once, stressing, however, that the lifting of major economic and oil embargoes constitutes the cornerstone in any agreement. Iran and the P5+1 group have actually missed a March 31 deadline for reaching a mutual understanding on whether they could continue further talks on Tehran’s nuclear program. The potential agreement paves the way for a much broader deal by end of June which guarantees the peaceful nature of Iran’s nuclear activities in return for a promise by international powers to lift unfair sanctions against the country.